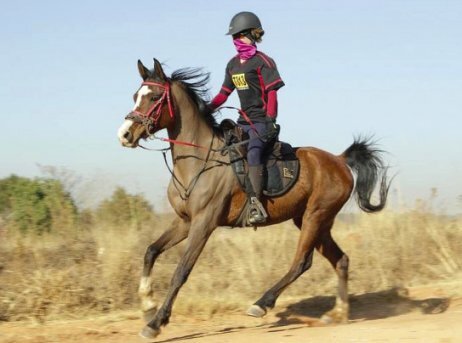 Horse riding instructor Nadine Bennet from Tierpoort was prompted to write this column after an incident on 7 October when a motorist raced past two riders, who then lost control of their horses. According to Nadine this is a big problem in Tierpoort, an area used by motorists in a hurry as a short cut between Garstfontein and Lynnwood Roads. Motorists and horse riders both have a right to use the road. By considering each other’s needs and following some basic advice, motorists and riders can help avoid accidents involving horses on the road. I have a small horse riding school in Tierpoort. 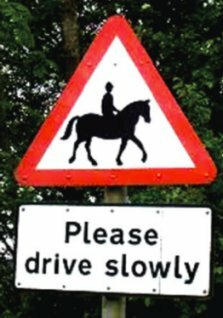 Equestrian riders have seen an increase of drivers who probably don’t understand the nature of a horse and they are mostly speeding past us when we are on outrides. There have been reports of riders being pushed of the road by motorists, riders who were hooted at and motorists who rev their cars next to the rider and horse. 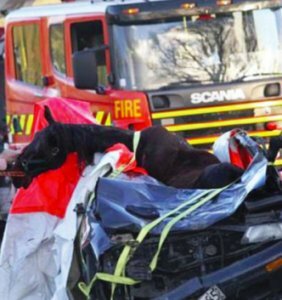 This is a great concern for motorists and experienced as well as inexperienced riders, because it could lead to serious injuries to horse, rider and motorist. Horses are spooked easily by any loud, high-pitched, rumbling sound or sudden movements, and the horse could have one of many flight reactions. A horse ‘spooking’ in a walk was registered to have travelled sideways at 86.8 km per hour by GPS tracking on the rider’s phone. 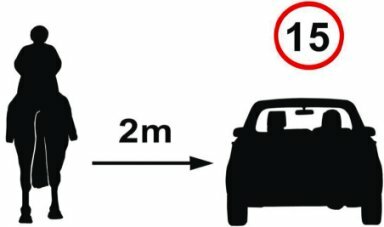 If you were to drive past in a car, would you have been at a safe enough distance and speed to stop in time? The following advice might save someone’s life the next time you use the road. Horses are flight animals and can be easily frightened. Slow down and be ready to stop if necessary. Look out for riders’ signals to slow down or stop. Watch out for sudden movements, and don’t sound your horn or rev your engine. Pass wide and slow when overtaking; giving the horse plenty of room. Don’t accelerate rapidly once you have passed them. Only pass when the rider is confident that the situation is under control. Most riders will use hand signals and motorist must be aware of them. When a rider waves his arm up and down, it means that the rider is asking the motorist to please decrease his speed until he has passed the rider. When the rider holds his hand out with his palm facing towards you, the rider is asking you to please stop so that he could pass you safely or to get his horse under control. Always display fluorescent or reflective clothing on horse and rider, whatever the weather or light conditions. If at all possible, don’t ride in failing light, fog or darkness. If riding a horse that is not used to roads, ask a rider with an experienced and calm horse to accompany you. Leave details of your intended route and estimated time of return with a responsible person.